The top six ranked women’s international cycling teams are among the 16 squads that will be taking part in the 2015 Aviva Women’s Tour over June 17-21. The second edition of the Women’s Tour has attracted a very strong line-up of teams from around the world, including seven teams making their debut in the race. Rabo Liv, the team of last year’s winner Marianne Vos, will return, as does the Boels Dolmans squad of 2014 World Cup winner Lizzie Armitstead. Home nation Great Britain fields three teams: Wiggle Honda, Pearl Izumi Sports Tours and Matrix Fitness. “We have once again secured a world-class line-up of teams for the Aviva Women’s Tour, which surpasses even that of our inaugural event in 2014,” said Mick Bennett, director of race organiser Sweetspot. 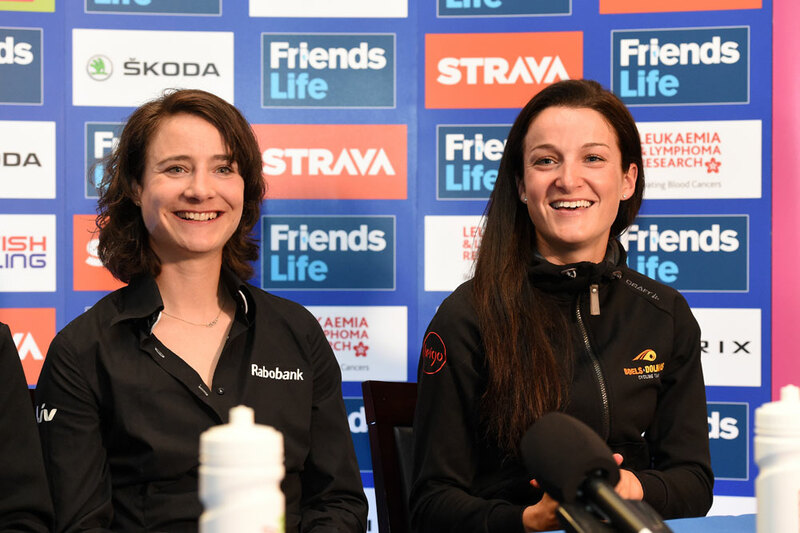 “To have attracted so many of the world’s top teams to race in Britain shows the high regard in which the Aviva Women’s Tour is already held, a regard which we will reward with another exciting and high-profile race this June. Provisional rosters for each of the teams are due to be released later in the spring.